Chef interested in penguins! Antarctic humour. What to do when your fois gras runs low…Adelie penguins (Pygoscelis adeliae), Cape Dennison, Antarctica Region, Antarctica stock photo image from Antarctica. 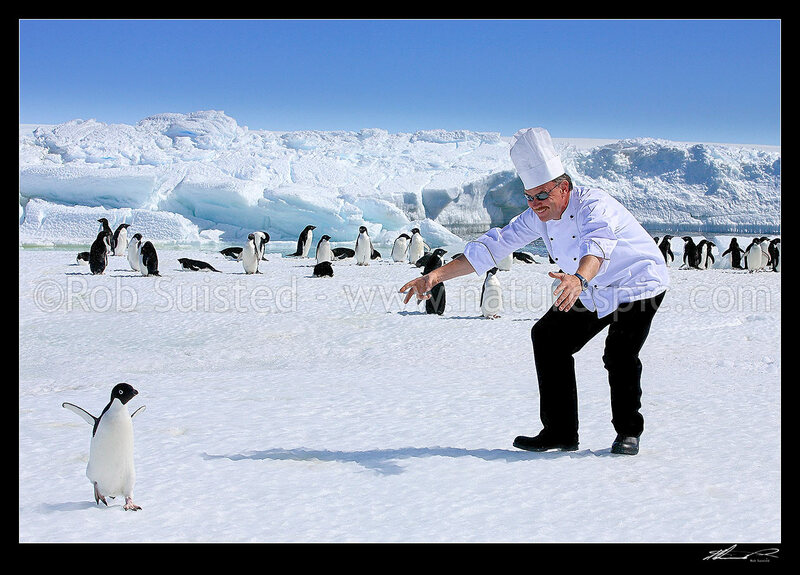 Chef interested in penguins! Antarctic humour. What to do when your fois gras runs low…Adelie penguins (Pygoscelis adeliae), Cape Dennison, Antarctica Region, Antarctica stock photo image (Picture ID #: 40569UT00). *No penguins were hurt (or cooked) in this humour!